The 13th HiPEAC conference will take place in Manchester, UK from Monday, January 22 to Wednesday, January 24, 2018. Associated workshops, tutorials, special sessions, several large poster session and an industrial exhibition will run in parallel with the conference. 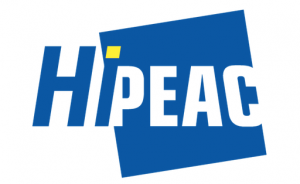 At HiPEAC18 ExaNoDe will be presented as part of the full-day workshop “Towards Exascale HPC: the ExaNoDe, ExaNeSt, EcoScale, and EuroEXA projects”.